There is so much more to getting the right people in the right positions than forms and checkboxes. We are dedicated to keeping human interaction as the core of career staffing. Our customers are both the employers we serve and the employees we help place in careers. Matching up the right people with the right positions is critical to our success. Rather than bring on more clients than our staff can handle, we focus on the partnering with right clients to ensure we offer the best service possible. 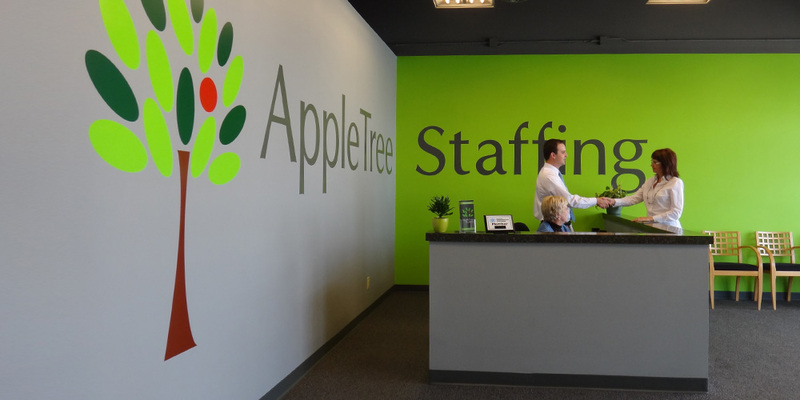 AppleTree Staffing is a full service employment agency proudly serving Central Indiana. Our staff includes some of the most experienced professionals in the employment industry. In our experience, the employment industry is full of horror stories of mistreated employees and employers. Over 20 years of industry experience have taught us what it takes to be successful and how to treat both employees and employers the right way…the AppleTree way. There is a clear distinction between a qualified forklift operator and a general warehouse employee. As trained professionals in your industry, we know the difference. We know the range of positions in the professional world is as vast as the 7,500 types of apples our planet produces on a yearly basis. Our team of professionals has recruited IT, Engineering, Scientific and Executive roles for some of the largest companies nationwide. We do it efficiently and within your budget.